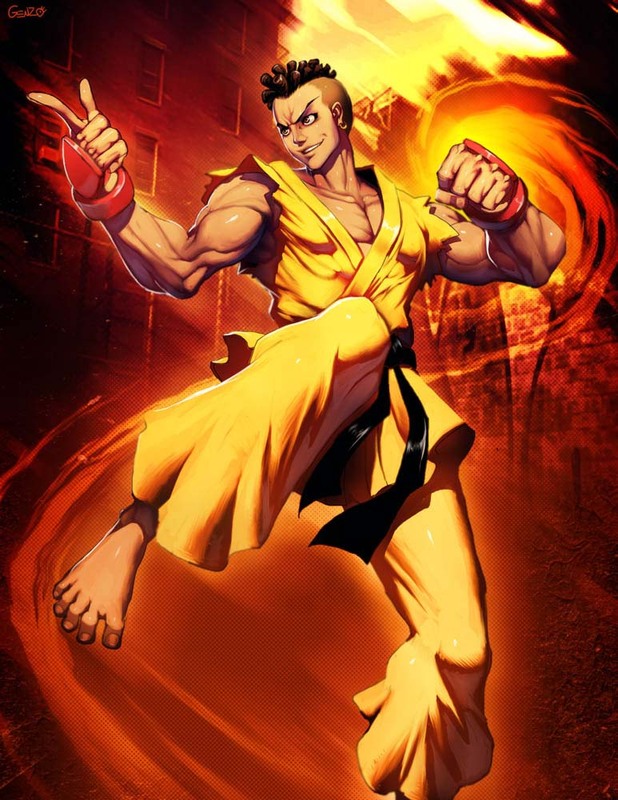 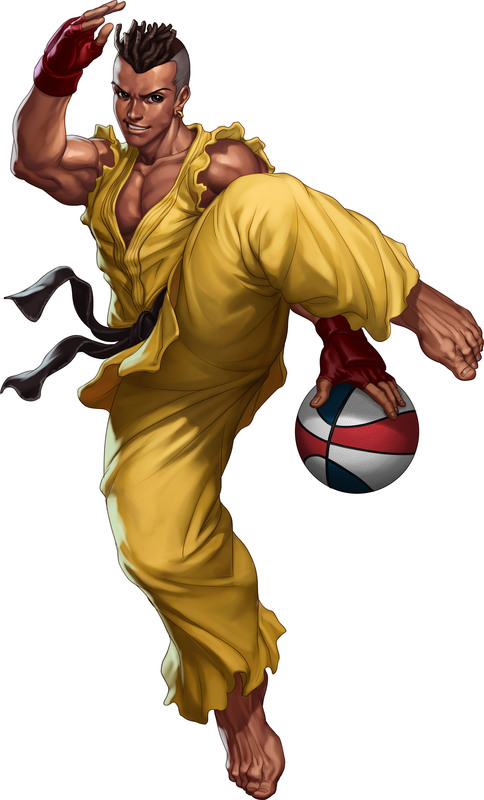 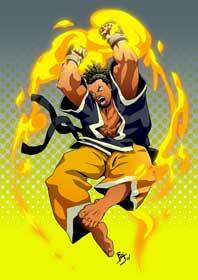 Sean Matsuda is a playable character from the Street Fighter series, he made his debut in Street Fighter III New Generation (1997) and only returned as a playable character in the direct sequels Street Fighter III 2nd Impact (1997) and Street Fighter III: Third Strike (1999). 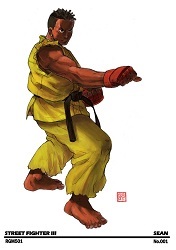 He was actually the only “Shoto” character in Street Fighter III and was meant to replace Ryu & Ken but due to concerns by players at locations tests before SFIII was out they included the classic two characters. 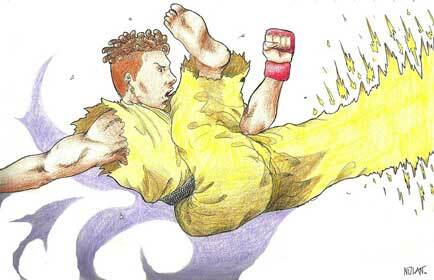 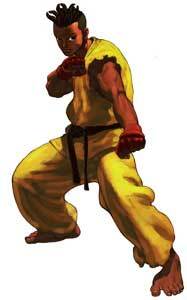 Sean has many moves and specials that are similar to Ryu and Ken’s but not the same. 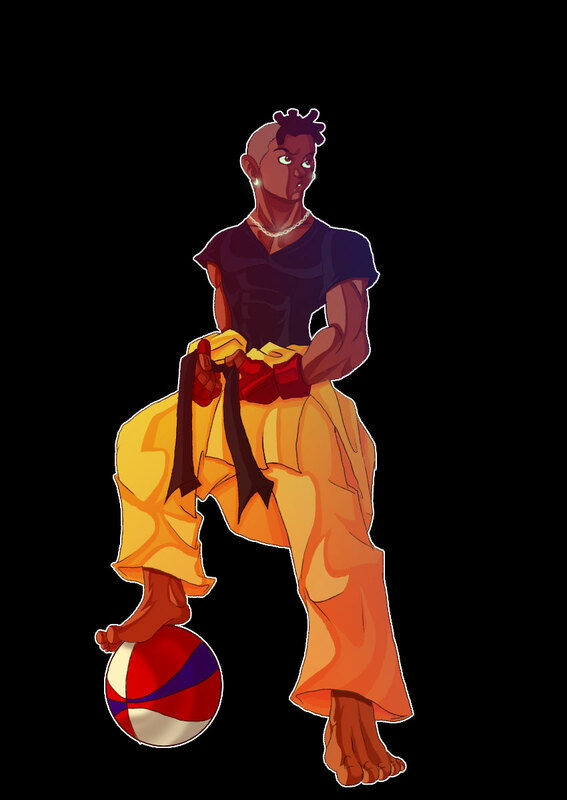 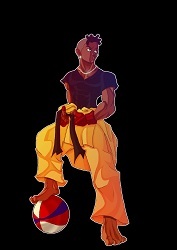 His sister Laura that became a playable character in Street Fighter V (2016) uses a completely different fighting style. Sean Matsuda is a part of our Street Fighter Anniversary Tribute and got two illustrations from our community in 2012 when we celebrated the 25th Anniversary of SF, including an entry that shows an aged and redesigned Sean!